They may be the most iconic duo in Greendale. But Sabrina Spellman's bewitching familiar, Salem, almost got a pretty big makeover for the upcoming Netflix reboot. 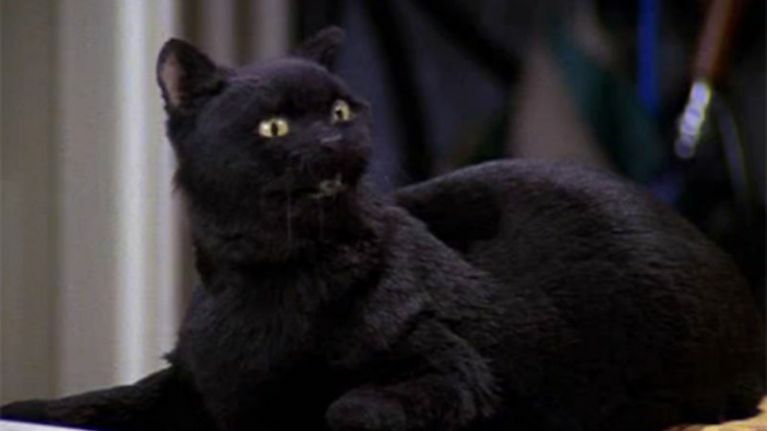 In the original series, which aired from 1996 until 2003, Salem Saberhagen was the sarcastic warlock-turned-feline that lived with Sabrina and her aunts, Hilda and Zelda. And he was easily one of the best characters on the series (you know it's true). But showrunner Robert Aguirre-Sacasa admitted that the character very nearly got an overhaul when it came time to film the Netflix reboot, Chilling Adventures of Sabrina. Although it was for a very good reason. It's all down the fact Kiernan Shipka, the actress who is taking over the role made famous by Melissa Joan Hart, literally could not stand to be around the cat. “I get a call that says, ‘Kiernan is allergic to the cat.' It did go through my mind: Could Salem be a dog?" Ultimately, they managed to find a work around and Salem is going to be the purr-fect companion for Sabrina - just not quite by her side. The first teaser-trailer cast a spell over fans earlier this week, as it offered a brief (and very eerie) insight into the series. And, of course, the first look at Salem - he was running across the screen at the end, in case you missed him. "Chilling Adventures of Sabrina imagines the origin and adventures of Sabrina as a dark coming-of-age story that traffics in horror, the occult and, of course, witchcraft. "Tonally in the vein of Rosemary's Baby and The Exorcist, this adaption finds Sabrina wrestling to reconcile her dual nature - half witch, half mortal - while standing against the evil forces that threaten her, her family and the daylight world humans inhabit." The Chilling Adventures of Sabrina premieres on October 26.
sabrina the teenage witch reboot.